DAVAO CITY (MindaNews / 24 Aug) – A lumad leader has called on the government to consult the indigenous peoples when drafting the new constitution that will pave the way for a shift to a new federal form of government. 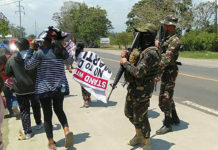 Speaking in “Wednesdays Habit at Kape,” Lipatuan Joel Andres Unad, chair of the Mindanao Indigenous Peoples Conference for Peace and Development (MIPCD), said they want a consultation with the indigenous communities first before the government would proceed with the revision of the current constitution. Under the 1987 Philippine Constitution, there are three modes by which it could be amended – people’s initiative, constituent assembly, and constitutional convention. Unad said the lumads support the effort of the Duterte administration to a shift to a new form of government but that they just want to be enlightened where would they position themselves in the new federal setup. He said they hope indigenous peoples’ rights will be protected and respected, in accordance with their customary laws and traditions. 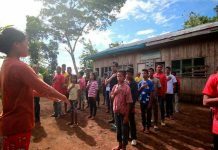 Unad said lumads are wary that a shift to a federal form of government will affect the delineation of their ancestral domain and lamented that even with the 1987 Indigenous Peoples’ Rights Act (IPRA), their territories are not yet recognized as their ancestral lands. “They have been living in their areas since time immemorial,” he lamented. A briefer on the 7th Mindanao IP convention released by MIPCD said IPs in Mindanao are strategically situated in the mountain ranges of with more or less 110 certificate ancestral domain titles (CADTs) recognized by the National Commission for Indigenous Peoples (NCIP). 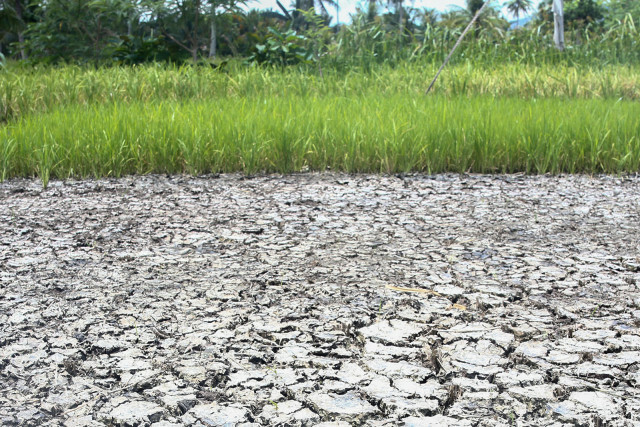 “These vast lands are sources of headwaters and river system, mineral resource, in some areas coastal waters and agricultural and forest lands that can accommodate primary crops such as abaca, cacao, coffee, palm oil and rubber industries that, with proper technology and planning, may ensure sustainable development,” it said. It added IPs in Mindanao are composed of 18 major ethnographic tribes and comprises 60 percent of the total IP population nationwide estimated to be at least 14 million. Unad said it is important that their concerns will be heard in crafting the new constitution because it is the lumads that will be among the affected communities. “Clearly, the lumads are 100 percent not anti-federalism because it’s more of a positive but we should see to it that the issues and concerns of the lumads would be settled by ensuring their participation in federalism,” he said. Different lumad leaders will gather in the 7th Mindanao Indigenous Peoples Convention at the Felis Resort Complex, Matina Aplaya, Davao City from August 29 to 31 to discuss, among others, federalism, advancement of cultural development, economic development, peace and security, and ancestral domain development and sustainable plan. The objectives of convention include reaffirmation of MIPCPD’s goals in advancing the rights of the indigenous peoples of Mindanao, secure the position of the IPs in national discussions on the issue of federalism, reassess government programs for IP and recommend necessary amendments to current ones, and facilitate cultural preservation among various ethnographic tribes while providing economic opportunities.